Our February 8th Reading Clubs are just over 9 days away, and we need you to sign up and help celebrate a morning of "Friendship and Family"! We still need 72 more volunteers for the 8th, so please take a moment to join our February 8th Facebook Event. Your friends will see that you're attending the reading clubs, and you can help spread the word by inviting them to join, too. After you join, be sure to go to our website and sign up with us. We'll supply everything you need, so we just need volunteers (ideally in pairs) who can go to a school or two between 7:30am - 2:30pm as a Reading to Kids Ambassador. This is a wonderful way to interact with the kids and teachers. The more we publicize, the more children and parents we can continue to serve! Please reply to info readingtokids.org or call the office at (310) 479-7455 if you can be an Ambassador. SIGN UP DEADLINE IS TOMORROW! Do you have friends on Facebook who post about their latest running achievements or goals? 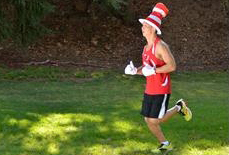 Encourage them to join Team Reading to Kids in the 2014 ASICS LA Marathon! They can be a part of the inaugural group to run for Reading to Kids in one of the best marathons in the country. They can run either the full marathon or a half-marathon, and the dollars they raise will go to support our monthly reading clubs. Our runners have even started to train together. If you or a runner you know is interested in becoming one of our fundraising runners or creating a fundraising team, before tomorrow's deadline please email Chris Martin at marathon readingtokids.org for all the details. IMPORTANT NOTE: to register to run on behalf of Reading to Kids, you MUST receive a special code BEFORE registering on the ASICS LA Marathon website by tomorrow's January 31st deadline. If you or someone you know would like to share the gift of music with the kids and volunteers at our March 8th Reading Clubs, please email us at info readingtokids.org. Thanks, and we look forward to seeing you at our February 8th Reading Clubs! - ASICS LA Marathon Sign Up Deadline Tomorrow!